Give your hair care and beauty needs the professional attention they deserve with a trip to Studio M7. 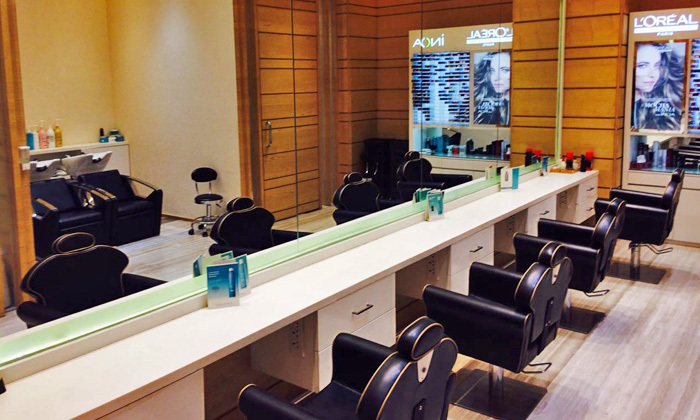 Set within the Hyatt Regency in Industrial Area Phase 1, Chandigarh, Studio M7 is an upscale salon that offers a range of hair care, skin, beauty and grooming services to choose from. The salon features chic interiors with modern design and a luxurious ambiance that is sure to put you at ease the moment you enter. The staff is professionally trained and offers premium services to ensure that customers walk out looking and feeling their stylish best after each visit.